Greetings from Galgotia College of Engineering and Technology, Greater Noida Campus and welcome to GCET website. Our main strength lies in world class infrastructural facilities, highly qualified, dedicated and experienced faculty having Industrial, Research Experience at National and International level. Though we are young, we have a great vision, agility, commitment, dedication and energy to create innovate education and research environment. We have a vibrant and talented student community comprising students from all parts of India. We believe that each and every student has the potential to be groomed to have successful corporate career. While pursuing the academic excellence, we take every care of all round personality development leading towards excellent career by paying individual attention to every student. Accordingly, thrust is given on providing activities, which enable personality development, confidence building, industry exposure, enhancing communication skills, social responsibility, special lectures, seminars, workshops and training programmes for the students are regularly organized. Dr. M. Praveen Kumar, pursued Ph.D. from University of Leicester, England in 2011.He is designated as Head of Department, Department of E.I.E, Galgotia College of Engineering and Technology, Greater Noida. He has total 8 years of experience from industry, teaching, Research and Administration at International and national level. He joined as a staff member in Leicester University in 2007 and worked in different positions and served as a Associate Professor in Electronics and Instrumentation Engineering till June 2014 in Gitam University, Hyderabad Campus. He had many responsible positions in various institutions. My area of interest is on Signal Processing, Control Systems, and Micro Electronics. He is guiding 3 research projects. His core research area is Heart rate Variability, ECG Processing, and EEG Processing. Currently working in the Area of Identification of Thought using Signal Processing. 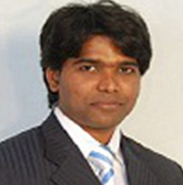 He has published various International Journals in the field of Signal Processing. He is holding Professional Membership in IEEE,IETE,ISTE and CSI.